Smack. Michael Arroyo’s 80 mph fastball hits the catcher’s mitt letting out a loud pop. Smack. Michael struck out the last 10 batters to win his team the game. However, Michael can not enjoy his victory, instead, he is told by his coach that, “Until a proper birth certificate is on file, you’re not eligible to play.” These words hit Michael as quick as his fastball reaches the batter. Suddenly, he is caught in the middle of the basepaths, with nowhere to run. Mike Lupica’s, Heat, takes the reader on a race around the basepaths full of suspense and excitement. While leaving from Cuba when Michael was a young boy, his birth certificate was left, and all he had was his Baptism Certificate, which did not count as a proper birth certificate. As a result, Michael did not have permission to play. When Coach Minaya tells Michael that he will call his father Mike panics and says, “No, it’s okay. I’ll tell him.” brother have been living by themselves for five months. Although he is just a kid, Mike has to pull as much weight as most adults. However, finding his birth certificate is to heavy. Michael has about the same chance of finding it, than other kids have hitting his blazing fastball. Will he find it before the season is over, so he can play again? Or will his chances drop away faster than his fastball? Reading Heat is so thrilling that any reader will be up all night thinking about Michael and the problems he has to live with every day. Lupica uses many cliff hangers at the end of each chapter such as at the end of chapter four when the reader first finds out that Papi has been dead and Mike and Carlos have been living by themselves. Learning about this, beckons to keep reading to find out more about Papi’s death. In addition a cliff hanger occurs when Michael is told that, “Until a proper birth certificate is on file, you’re not eligible to play.” This caused me to be nervous and immediately wonder what will happen next. As a result, I kept on reading. Heat, reminds me of Mike Lupica’s Fast Break, a book about a boy who is a star basketball player, but has been living in his apartment by himself, trying to stay out of a group home. In addition, the main character has to steal to food to eat, which is what Michael thinks about doing when he is hungry. I would recommend this book to anyone with a true passion for sports. 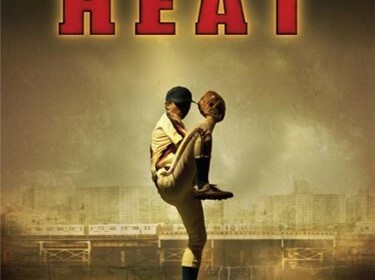 In conclusion, Heat, gives the reader an example of when life is truly like being caught in the middle of the basepaths with nowhere to run.